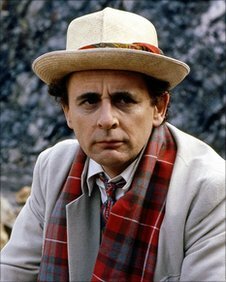 The Seventh Doctor. Portrayed 由 Sylvestor McCoy. Wallpaper and background images in the 神秘博士 club tagged: doctor who dw classic who the seventh doctor sylvestor mccoy 1980's 7. This 神秘博士 photo might contain 船工, 里窝那, 巴拿马帽子, 水手, 撇油器, 草帽, 船头, leghorn, 巴拿马, 巴拿马草帽, 撇乳器, and 撇渣器.